Icy roads may cause a car to lose all tire traction, making them the leading cause of car accidents during winter. Even if the car is equipped with winter tires, hitting a patch of ice on the road can result in a car accident. That is why it is recommended not to drive until the road crews and snow plows finish their work and melt the ice. If you’ve been involved in a car accident which was caused by icy roads or black ice, you should contact your car accident attorney from Annapolis to determine if you can receive car injury compensation. 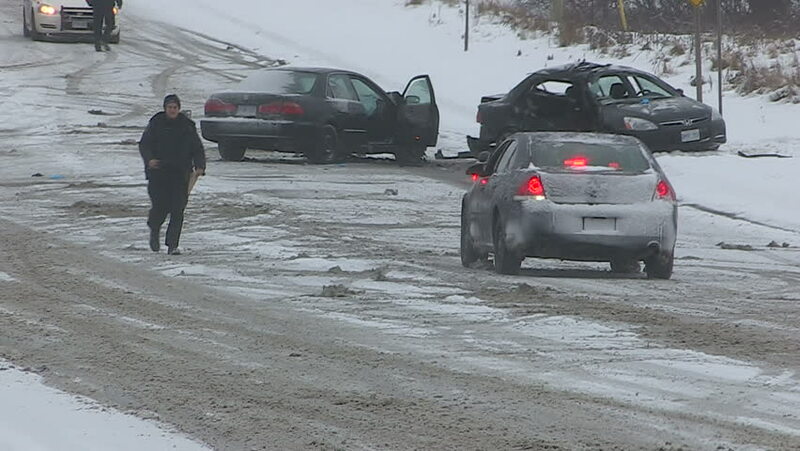 Even if you are driving carefully, sometimes it is impossible to prevent a crash on icy roads. As the vehicle enters the icy road, you might lose all control over the vehicle. But there are ways you can be prepared for this. Your car injury lawyer from Annapolis recommends all people to check the weather for your route and see if there are unusual conditions. In addition to this, you should maintain your car’s tires and visibility. If the road is slippery, your tires are giving out and you cannot see, it will come as no surprise if you will be involved in an accident and suffer a car injury in Annapolis. Technology can help you ride safer, but it will definitely not solve all the problems, especially on icy roads. There are a few things you should know about your car features that can help against icy roads: the ABS – anti-lock brake system and the AWD – all-wheel drive. When you push the brake and hold it, the ABS will start cycling and you will feel small pulses in the pedal or will hear the system working. When the roads are icy, you should ease up slightly on the pedal so the pulsing only happens once every second. If you have a car which does not have the ABS feature, then you will have to rely on the classical old-fashioned system: you. Many people get in trouble because of the false sense of security the AWD offers. AWD only helps the car accelerate and keep moving. It cannot help the driver go around a corner if there is any ice, not to mention to stop at an intersection. Here are few things you can do to avoid being involved in an accident caused by icy roads and suffer a car injury in Annapolis. Regardless of your car preparation or driving skills, it is still possible to be involved in an accident during cold weather. If this has happened to you, contacting your car injury lawyer from Annapolis might be your only solution to receive compensation. Contact the best lawyer in Maryland at (443) 569-3950 or send an email to [email protected] for a free consultation of your case.